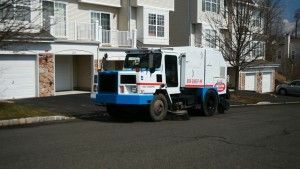 The goal here is to help you understand the benefits of community sweeping so you do not dread those “street sweeping” days. Each town employs a different sweeping schedule. 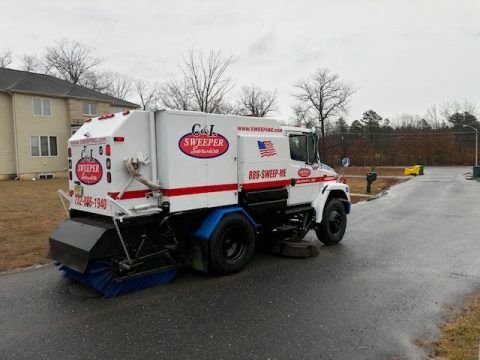 Check with your local township to find out when the street sweeper will be visiting your area. Most communities will also post the street sweeping schedule online. All cars should be moved from the street on the days your community is being swept. Cars parked on the street make it very difficult for the sweeper to maneuver. Sweepers need to get along the curb line in order to remove the dirt and debris. A line of cars parked on the street could force the sweeper to skip that section all together and allow for the debris to accumulate. 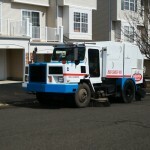 Community sweeping keeps your neighborhoods looking great. It increases property value as it provides neighborhoods with that pristine appearance. Clean neighborhoods stay clean. People are less likely to thrown their trash onto a clean property. Community sweeping also decreases the amount of dirt and debris that is trekked into your home or elsewhere. Finally, sweeping increases the life of the asphalt. So when the sweeper visits your community next time, remember why they are there. Property maintenance relates to the general upkeep of a property or building and its surrounding areas. Some businesses will handle the maintenance themselves or rely on a property maintenance company to take care of any issues. Regardless of which route you go, property maintenance is a must. You only get one chance for a first impression. Each property should be maintained regularly. If you choose an outside company, they should be able to act as your “eyes and ears”, alerting you to any potential issues. We have developed a property maintenance checklist to help you make sure your property is in good condition. Make sure you have a property maintenance plan in place. Once you have a plan in place, you can begin to draft a contract with the company of your choosing. Keep in mind, all contracts are different as companies require different services performed. Just because a contractor tells you something verbally, doesn’t mean it is included in the contract. Look over the written agreement very carefully and make sure you understand exactly what is included. Secondly, pay close attention to liability issues. Make sure the contract clearly defines what the property maintenance company is liable for. Also, make sure they have adequate insurance and documentation. Finally, the contract must state the duration of the agreement (i.e. sweeping services performed weekly for the next 6 months) and that a termination clause is included. For example, the agreement should state when the business owner and/or the property maintenance contractor has the right to end the contract and how much notice is required. Property maintenance is key. As stated before, you only get one chance for a first impression. An unkept property will cause customers to look at your business unfavorably. Use the checklist provided above when forming a plan. Any reputable property maintenance contractor will be able to tailor a program to meet your needs. Sealcoating is necessary when the pavement begins to wear down. It is best to wait six to twelve months before sealing brand-new pavement. After that, sealcoating should be done every three to four years. 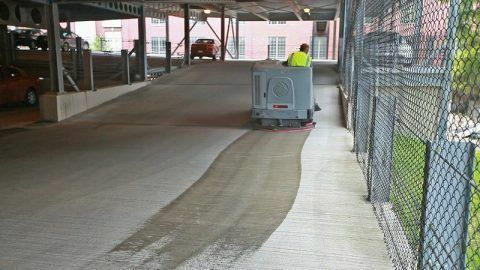 It helps to prevent erosion and oxidation of the top layer of asphalt. Sealcoating provides a smooth, black surface that is ideal for line striping, not to mention it being aesthetically pleasing. Sealing and filling asphalt concrete pavement cracks is a common road maintenance activity. Crack filling materials are placed into and above the cracks to prevent the intrusion of water and incomprehensible materials. Power washing provides a fresh look for your property and pavement. 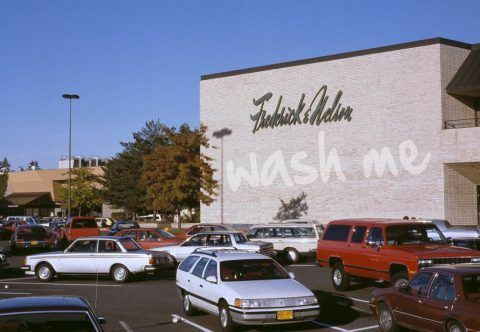 Parking lots, walk-ways, etc. become dirty with oil, grease, and other heat reactive substances. Pressure and steam washers will remove the toughest of stains. Finally, water reclamation is a must, as all water needs to be recovered. It also ensures that you are EPA compliant. In conclusion, pavement protection is important to the health of the asphalt. Sealcoating, crack filling, and power washing are just some of the steps that you can take to protect your pavement. There are two types of property maintenance: residential and exterior. Exterior Property Maintenance includes street sweeping, line striping, power washing, landscaping, and much more. Depending on the scope of the project, a property manager will usually hire an expert to handle any exterior maintenance issues. The exterior property is the very first thing customers and tenants will see when they pull up. An unkept property gives them a negative impression and may cause them to wonder why they would shop at or lease from your establishment. Identify materials used. Make sure a clause regarding dumping is included as well. Asking questions drives creativity. Questions lead to answers and eventually to more questions. Questions lead to new knowledge about property maintenance or property management in general. The above article goes into more detail. Every property should be on a regular property maintenance schedule. If the land is too much for the property manager to maintain, hire an outside company to look after the land and report any malfunctions to the manager. It is cheaper to maintain than to wait until the problems become too big to handle. Preventative Maintenance will help solve problems before they actually happen.